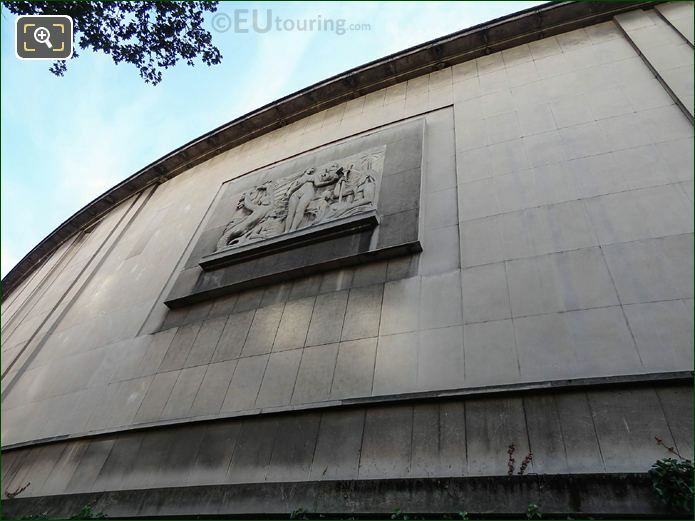 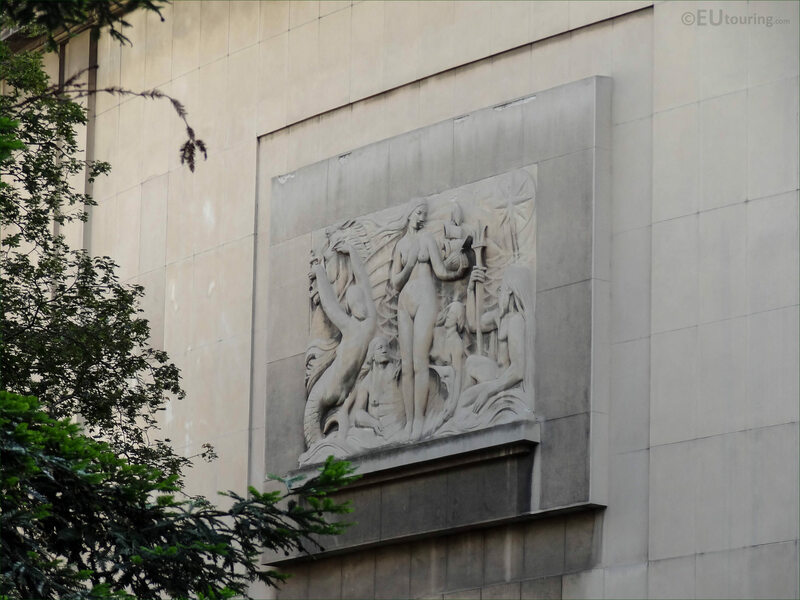 We were at the Palais de Chaillot, which is located in the 16th Arrondissement of Paris, when we took these high definition photos showing a relief by the sculptor Contesse. 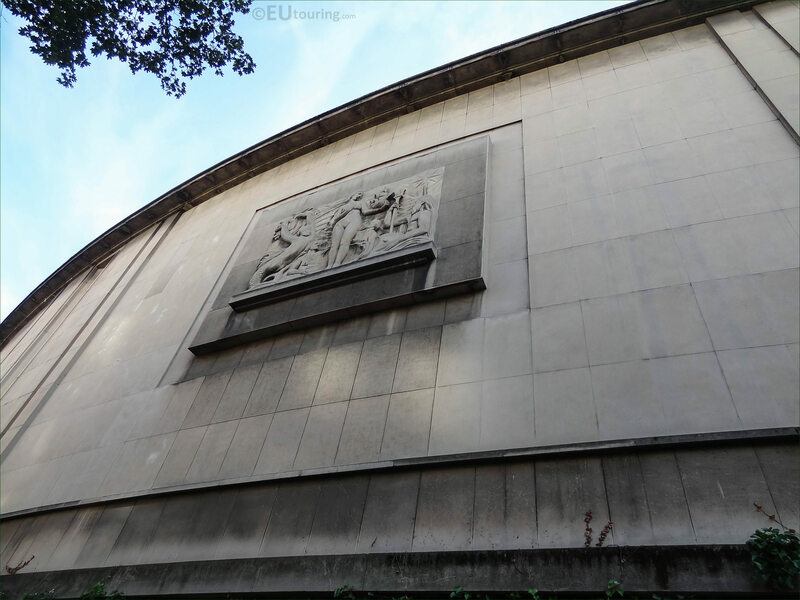 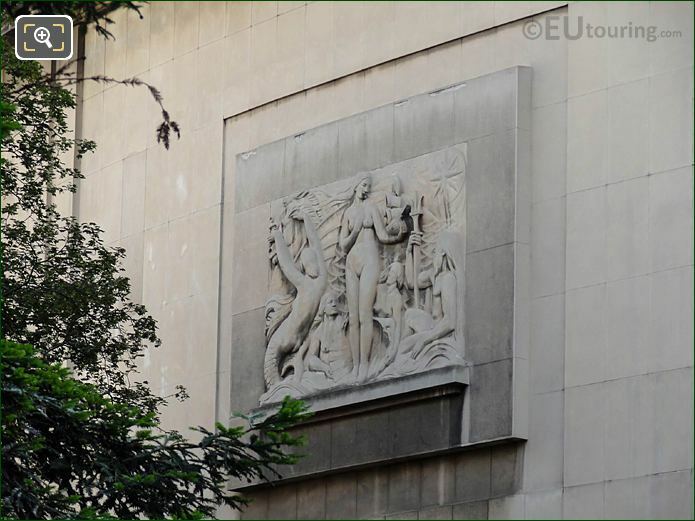 This first HD photo show a stone relief that is located on the north westerly wing of the Palais de Chaillot, which was constructed in a neo classical style for the 1937 Universal Exhibition, or World Fair in Paris. 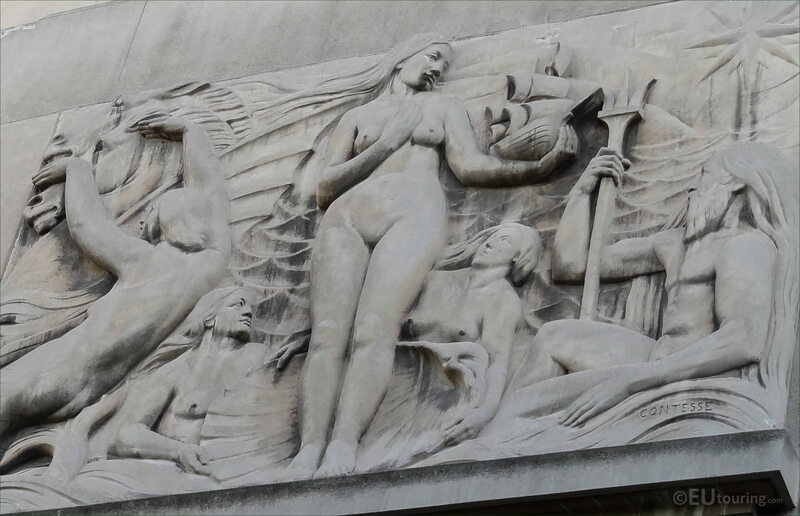 But here you can see a close up of the relief, and if you look carefully in the bottom right hand corner you will see that it has been signed with the artists name Contesse, which we believe is Gaston Contesse, who was a French sculptor, born in 1870 and passed away in 1946. 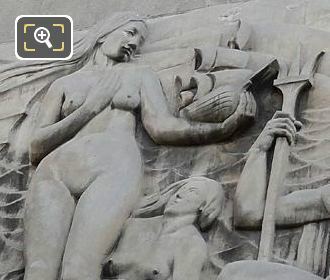 So we mentioned earlier that this relief is located on a wing of the Palais de Chaillot, and this can be seen from the Jardins du Trocadero where you will discover an English styled garden complete with a stream and bridges, which is to the western side of the palace in a very little known area of the garden.